Should You Pay a Lawyer for an Initial Family Law Consultation? You will be hard pressed to find a lawyer that doesn’t charge for an initial divorce consultation, or initial divorce assessment as we call it. And there is a simple reason for that – first, if we didn’t charge for this meeting our days would be spent meeting with lots of prospective clients that are looking for free legal advice, but have no intention of actually hiring a lawyer. Second, many spouses would meet with every lawyer in their area in an attempt to “conflict out” any lawyer their spouse would try to go visit. So yes, most family law attorneys will charge for an initial meeting, but the cost of the consultation will vary, as will the time that someone from the law office will spend with you (it’s not always a lawyer you will meet with). Attorneys, and divorce lawyers in particular, typically bill in one of two ways. They either charge an hourly rate or a flat fee. At The Hart Law Firm, we have always charged a flat fee for our initial divorce assessment. We do this because you come to us scared and nervous about the process. The last thing we want to do is make you even more nervous that if you try to ask “one more question” that it will cost you a substantial sum of money. We have found over the years that our clients are more relaxed and able to talk freely about their questions and concerns if they know how much the assessment will cost them up front. From time to time, we will get calls from people who are shocked that lawyers would dare charge for an initial assessment. This, quite frankly, is a bit surprising. When was the last time you went to see your doctor for them to spend an hour answering all your questions and they gave you that time for free? It doesn’t happen. Just this past week I went to see my doctor, met with the PA for about 5 minutes, and received a $138 bill. If you think about it in those terms, paying a couple hundred dollars to talk with a divorce lawyer for an hour about complex issues that will shape your life for the next 10-15 years is a bargain. At The Hart Law Firm, we believe that the initial divorce assessment is one of the most important meetings you can have with your lawyer. During this initial meeting, the attorney will listen to the facts of your case, discuss the relevant legal issues with you, and strategize with you on how best to achieve your goals. We will offer both legal and practical advice. Our main goal of these meetings is to educate and inform our clients about the divorce process so that you can make the best decisions for your case. We realize that family law is not a one size fits all type of practice. The initial divorce assessment gives you a chance to gain insight into your case and determine if our firm would a good fit for you. We will also take the time to explain the next steps of the process and provide you with a quote for moving forward with the case. Call us at (919) 883-4861 to schedule your one-on-one initial divorce assessment with a family law attorney in our office. We realize that it may seem obvious to you what you need, but divorce cases are highly fact specific and it’s possible that there may be options available to you that you wouldn’t even know to ask about until you have met with a lawyer. We have learned from 13 years of experience that our divorce assessment provides the most value to you as a client and gives us all the information we need to provide you with proper advice and know whether or not we can even help you in your situation. (FYI, not every prospective client needs a lawyer, and the only way to find this out is through the initial divorce assessment). If we were to give you advice over the phone without knowing all of the facts of your case, we not only are setting you up to fail, but are also exposing our office to potential liability. For that reason, you must be wary of law firms that are willing to give you advice over the phone. It’s possible in those situations that you aren’t even speaking with an attorney – and if you are, the attorney should know better. Paralegals, legal assistants, receptionists, and other non-lawyer employees are not allowed to give legal advice. 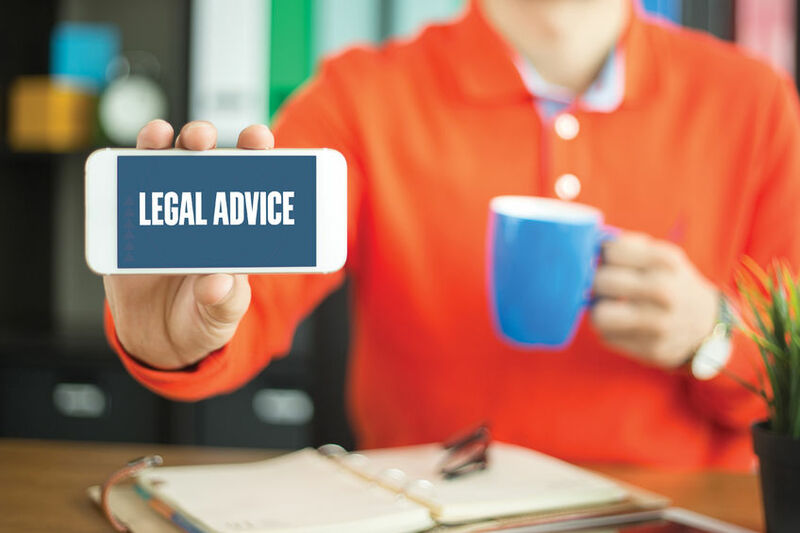 They haven’t been to law school, they haven’t taken a bar exam, and while their intentions may be noble, it is more likely that their advice will steer you into an unforseen trap that will cost you a substantial sum of money to get out of. While it is true that you can find a lot of great information by doing research on Google and other search engines, Google doesn’t know the facts of your case (yet) and it is impossible for you to substitute the advice of a real live attorney with what you find online. The information you find online is generic and many times unrelated to what is going on in your case. 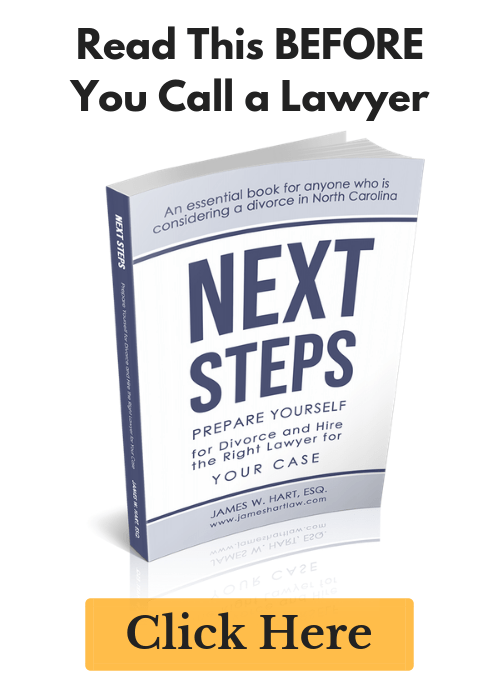 In North Carolina, we have family law statutes that have been enacted by our state government. These laws are different from the laws in every other state. In addition, we have what is called case-law that interprets and reviews those laws according to a specific factual scenario. As lawyers, we are trained to look at the facts of your case and apply those facts to the statutes and case-law as they are currently written. Google just can’t do that. Not only that, but if you end up in a courtroom, I’m pretty sure that Google won’t be there to argue your case for you. We totally understand that it is nerve-wracking to spend several hundred dollars on an initial assessment, just to decide not to move forward. However, our experience has been that many clients find that the initial divorce assessment was one of the most valuable meetings they can have with a lawyer. Not only that, but we are frequently told that the information and time we provide during this meeting goes above and beyond anything that the prospective client has received from other lawyers they have met with. During the initial assessment, we will give you legal advice that is relevant to your particular case and we will help you to create a strategy and roadmap for how to obtain the best outcome in your case. In addition, we may offer you advice or legal solutions that you didn’t even know were possible. Our goal to make the initial assessment an extremely valuable experience, even if you don’t hire us right away. We want you to come away with information and resources that will help put your mind at ease and understand what the next steps in your case will be. 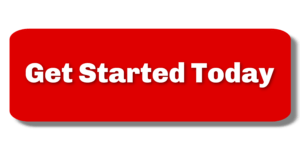 The initial consultation fee is a $350.00 flat rate. We can conduct this assessment in person at our office, over the phone, or via Zoom. We frequently represent people living out-of-state and overseas. If you decide that we aren’t the best fit for you, we can offer you a list of referral sources that may be able to help you. Before you move out of your house, move your children to another city or state, move money out of your accounts, or take any other important steps, we highly recommend that you consult with a divorce lawyer. This could be the most important meeting you will have. The decisions you make now will have lasting impacts on your case. In family law, your case is your life. Call our office today (919) 883-4861 to schedule an initial divorce assessment with an attorney and get the information you need to make the important decisions about the next phase of your life. UPDATE: As of September 2018, we now provide you with two options for an initial divorce assessment. You can either pay $250 for a one-hour meeting, or $350 to meet with with us as long as necessary to answer all of your questions. 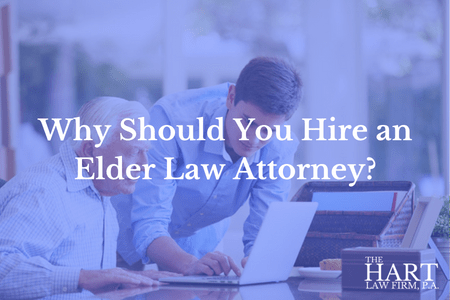 Previous Post: « Why Should You Hire an Elder Law Attorney?